A little about me. 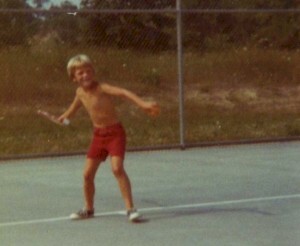 Pickleball — invented on a summer afternoon on Bainbridge Island, WA — was just 6-years old when I was born. Skipping ahead almost two decades, I did my undergraduate studies at Hope College (and played tennis there… Go Dutchmen!). A few years later, I got my MBA from Michigan State University (Go Green!). I spent several years in Corporate America working in the Lowe’s Companies, Inc. logistics organization in North Carolina and in the merchandise finance and supply chain group at Kmart Corporation. For approximately the last 12 years I have owned my own digital marketing/social media business. I’m married to my best friend – who also runs her own business and blogs on the topics of toxins and health & wellness. In terms of my pickleball experience, I remember playing it in Physical Education Class in 7th or 8th grade. I didn’t pick it up again until November, 2014 when my mother-in-law mentioned they were playing it at our local church, Woodside Bible Church, in Troy, Michigan. I’ve been hooked ever since and absolutely love playing pickleball. From November, 2016 thru April, 2018, I was the “Pickleball Specialist” (newly created position) at the local Community Center where I managed and grew the pickleball program to 150+ seniors. Since November, 2017, I have been the Pickleball Instructor at the Court Yard Sportsplex in southwest, Ohio. I am currently a 4.5 player and am IPTPA certified. I give lessons (private, group, clinics) daily and play as frequently as I can. Because I’m not yet eligible to participate in our annual, local USAPA-sanctioned pickleball tournament, I try to help in whatever capacity I’m able, and to that end, serve as “head referee” at the Middletown, OH USAPA-sanctioned pickleball tournament. Tennis at a Young Age with a Wood Racket! Pickleball is a cross between tennis and Ping-Pong. Although I’ve only been playing pickleball since November, 2014, I have been playing ping-pong and tennis for much longer. I remember playing ping-pong as a youngster with my older brother and dad. To this day, we all still play on special family occasions such as Thanksgiving and Christmas. I started playing tennis when I was 7 or 8. 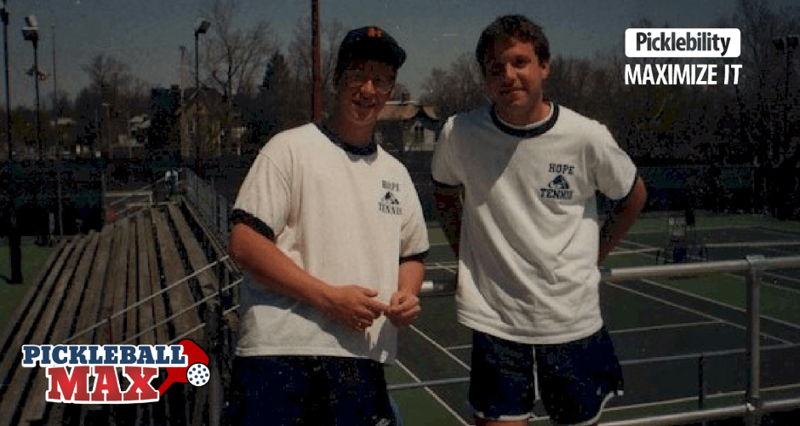 I continued playing tennis throughout high school and even played during my four years at Hope College. Now, with the exception of a week or two during the year, the pickleball paddle has completely replaced the tennis racket. Take some time to explore this site. It is our goal to help you maximize your picklebility — your ability, passion and addiction to the sport we all love! And while you’re at, make sure you check out our product recommendations for the pickleball addict — and, of course, don’t forget to sign up for our pickleball newsletter. Loved the bio. I remember when that picture was taken when you were just a little guy. I certainly started young. Tennis was definitely a good sport to learn — it helps in all racket/paddle sports! Hello there. I see where you went to Hope College. I never heard of Hope College until I met Jorge Capestany. So, I am wondering if you know him. I am a tennis instructor who loves pickleball. I’ve been playing since November of 2016. Hi Mike, Thanks so much for responding. While I do not personally know Jorge Capestany, I do certainly know of him. From what I read, he sounds like a great guy — and a great teacher of tennis. I have even watched several of his tennis videos. Now my sister-in-law works at the Hope College tennis facility and does know him. Small world! Glad you love pickleball! It’s so much fun! See you on the courts! I live in Houston Texas and very few people have heard of Pickleball and there are not many places to play it. Any ideas on how to get the word out and get people interested? I have played tennis for 40 years and have just discovered what a great sport Pickleball is for people of all ages. I would love to make it a Hot Sport in Houston! Any tips would be appreciated. Download PBFinder on your iPhone. The locator shows where they play Pickleball, the time and, most importantly, the Point Of Contact (POC). I travel for work, and usually find places to play while traveling. I usually call the POC to confirm that they are indeed playing on the day indicated on the app. Lots of places to play in Houston. Pickle on! Looking forward to meeting you this summer. Although I played in a few tournaments last year in and near Grand Rapids, I don’t think we have met. My name is Christie Borne. My company is Pickleball Sisters and my sister Janet Weston lives in Rockford. I will be playing 3 tournaments in Grand Rapids and Lake Odessa, so let’s meet and talk about pickleball and the Lord since I saw you attended church at Woodside Bible Church! What a great combination! Hello, I am also from Michigan and I’ve been going to pickleball mixers at my club! Because the nicer weather is approaching, do you of any outdoor pickleball courts in the Metro Detroit Area (Or maybe a website that will show outdoor pickleball courts)? Thank you!